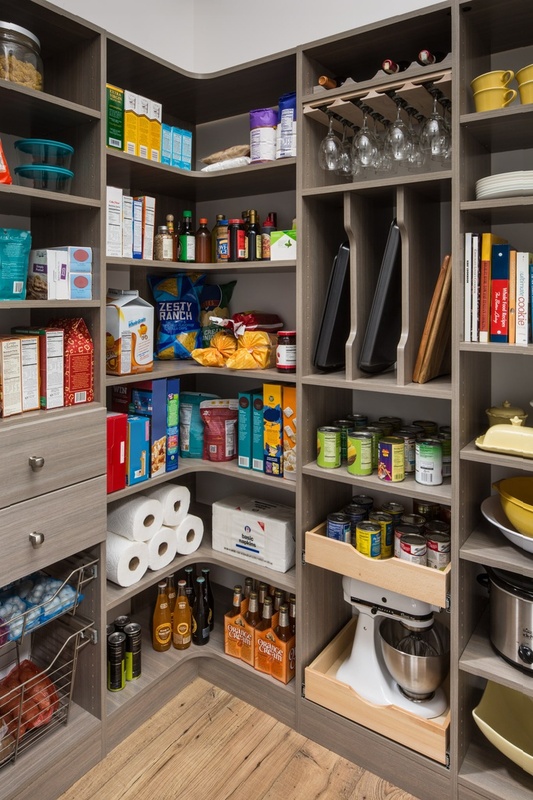 Maximize your kitchen storage space with deep wrap-around shelves that are ready to stock with all of your favorite supplies. A wine rack and stemware holder provide a safe place for bottles and glasses, and tray dividers organize cookie sheets neatly on their sides. Slide-out wire baskets keep produce visible, and wood drawers with a scoop-front design and full-extension, ball bearing glides make it easy to access small appliances like counter top mixers.